Your child dreams of being a super-hero who can fly as fast as lightning? Imagine if Dad had superpower strength and could carry a car on his back. And Mom had X-ray vision and could see through solid walls. 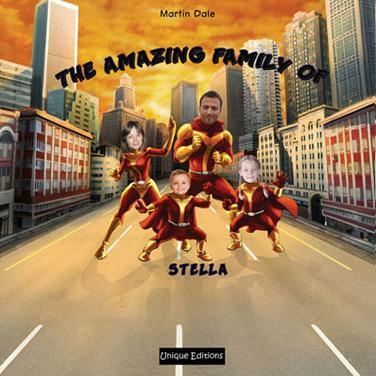 In this action packed personalised story filled with humour, the entire family lives a truly extra-ordinary adventure. Personalisation : with child, Mom and Dad.